Do you know any Arab Moslems concerned about democracy in their countries? I don’t. Why are they so concerned with those in more civilised countries? With almost 90 percent of Myanmar’s population being devoted Buddhists, the religion has been at the heart of the nation’s very identity for centuries. But while the pillars of Buddhist teachings are love, compassion and peace, there is a very different variation to the philosophy being taught at the Ma Ba Tha monastery in Yangon’s Insein township. You can use monks for your own purpose, for very negative aims and objectives … The monks and the military entered into this kind of unholy alliance … Many activists believe that the military is using religion to keep power. The monks there are connected to one of the world’s worst humanitarian crises, the systematic persecution and genocide of the Rohingya in Rakhine state. “The Rohingya Muslim people … are discriminated against and treated like animals by the Buddhist people,” says a Rohingya who asked to disclose his identity. That’s just gaslighting and projection. That’s what Mohammedans do when they have the upper hand. 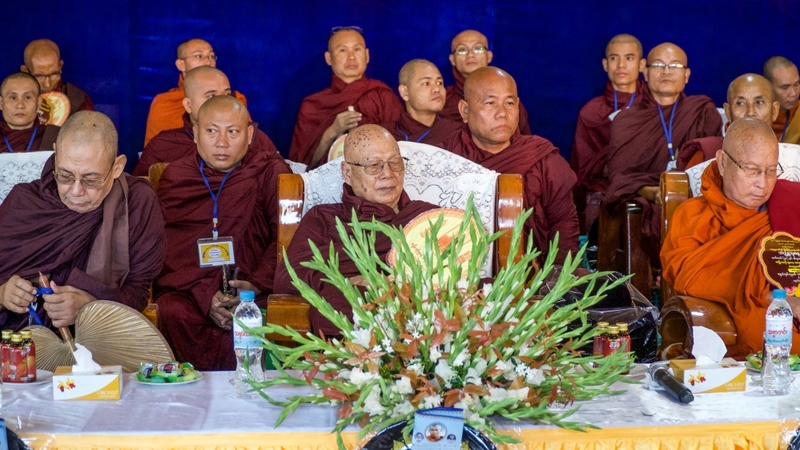 Formed in 2012, ultra-nationalist monks organisation Ma Ba Tha – which translates to ‘the protection of race and religion’ – spearheaded most of the rhetoric that fueled anti-Muslim hatred in recent years. There is nothing wrong with protecting your birthright. 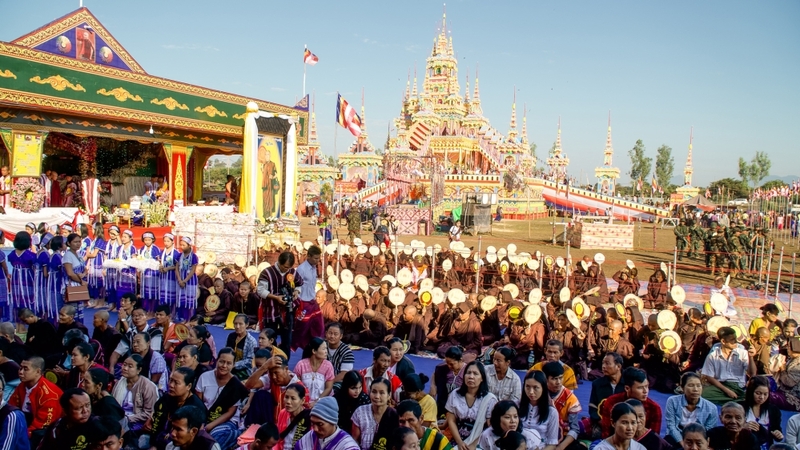 Many in Myanmar believe that after the transition from military rule to civilian government in 2011, the military intentionally fueled divisions among Buddhist groups. They aligned with the most nationalistic Buddhist leaders – enhancing the army’s popularity and influence. “Military leaders approached our fellow monks with offers of financial support and gifts … This emboldened the monks to rise up and speak up in public to spread the pro-military propaganda, spreading hatred between religions,” says U Gambira, a former monk who fled to Thailand in 2016. These are dodgy, agenda driven claims. Activists like Khin Zaw Win, who is also a communal religious analyst, are concerned about the rise of nationalism and anti-Muslim rhetoric as well as the monks’ close relationship with the military. It’s a lie that Muslims have been in Burma “for centuries”. Bengali Moslems were brought in by the Brits less than hundred years ago. There are no “extremist monks” and they are not endangering anyone. Another spurious claim without substance. Al Jazeera’s unprecedented access to the Ma Ba Tha monastery and its leaders offers a glimpse into how their ultra-nationalist agenda is becoming the blueprint for the political structure of the country. Is the joining of forces between monks and generals threatening Myanmar’s young and fragile democracy? Continue (with controlled frenzy) the cleansing of your homeland of the islam-infected and ANY who aid and assist these islam-invaders !! !